The Reactive Stretch Cord is an amazing training tool utilized to build athlete's speed through assisted overspeed training. By adding assistance to athletes' sprint-outs you will find increased acceleration. Complete multidirectional drills or linear sprints with the Reactive Stretch Cord and increase your speed. 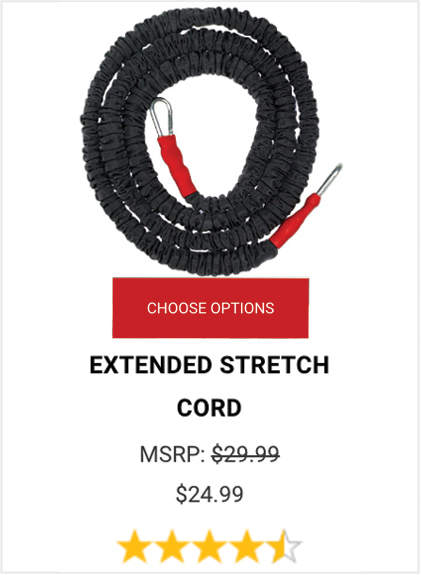 The Reactive Stretch Cord includes dual resistance bands with a safety sleeve to keep athletes safe from any amount of resistance. With a maximum length of 20 feet you will be able to train through a variety of training drills. The Anchor Strap, included with the Reactive Stretch Cord, offers the anchor the ability to efficiently apply resistance to athletes. 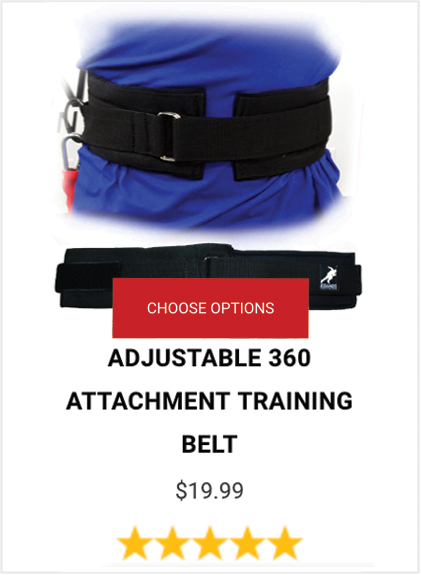 The Adjustable Belt also is a great addition, enabling the Reactive Stretch Cord to fit any size athlete. 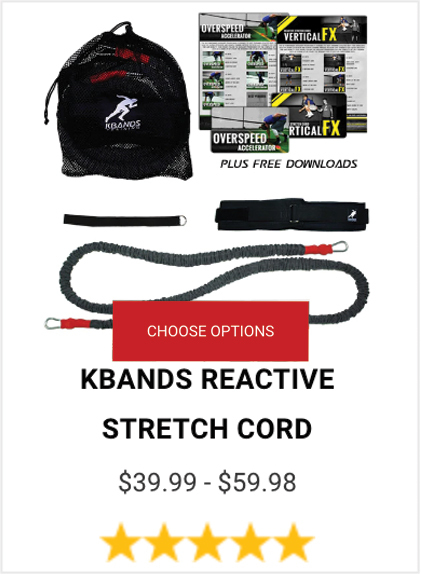 Included with each Reactive Stretch Cord is the Overspeed Accelerator and Vertical FX Training Programs. Build acceleration and speed with assisted sprint training techniques with Overspeed Accelerator. 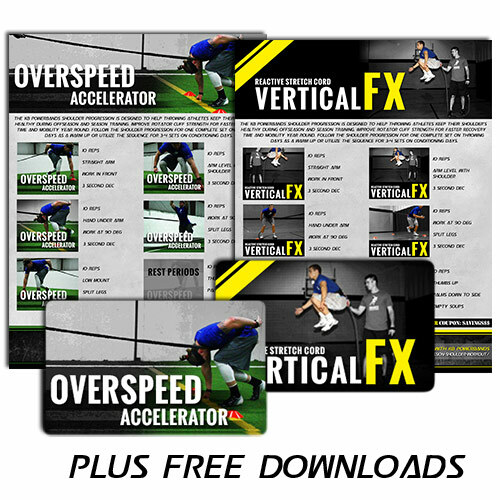 Also, increase your jump height during resisted jump training drills with Vertical FX.